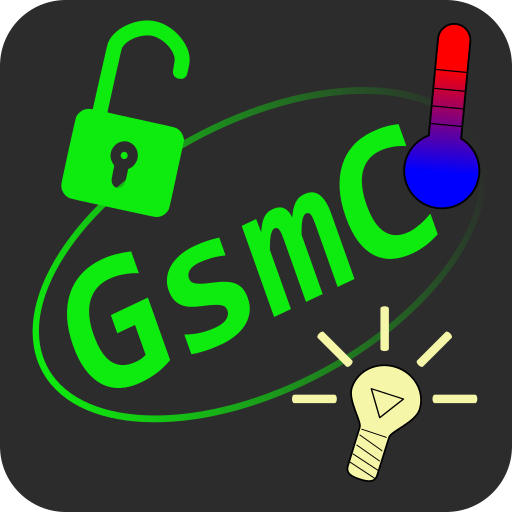 GsmContrAll (yes, this is the official name) is an android app that can simplify sending SMS commands to your GSM gate opener, GSM alarm, water pump, heating, cooling, garden lights, appliances. You can also text your loved ones, or pay public services like parking, bus tickets and others. Sending sms commands to your devices or public services has never been easier. Compatible with any type of SMS controlled device. GsmContrAll helps you to put all those in one logical place: assign sms commands to individual buttons. Each button has a friendly display name and a command (sms text) which is actually being sent. All buttons on one screen represent a single device, ie message recipient. Manage multiple devices by organizing them in separate screen tabs. Simply speaking, starting from March 2019. the only application which will be allowed to actually send SMS messages is the phone's native (or default handler) app. Google may approve some specific exceptions but, at their own discretion ofcourse, and without any promises. All other apps, such as GsmContrAll, will have to pre-fill the sms text and number and invoke the phone's 'factory' sms application, which will then be waiting for user's confirmation to send. This ensures that nothing gets sent out without the user explicitly seeing and allowing it. Unfortunately, this was needed due to many misbehaving and malicious programs out there. Therefore, applications wishing to use one of those critical permissions, must be updated accordingly or face permanent removal from the Play Store. Unfortunately again, this affects the rest of us, who have good intentions. GsmContrAll is transparent and, as promised, does not do anything behind your back. By following this principle, and according to the new security rule, we have implemented the changes required by Google: SEND_SMS permission was removed. one additional click is needed to send the sms, using the new method, and default settings. This is not much to give, for full transparency. alternatively, you can edit the buttons and choose "send immediately" option. In that way, the familiar confirmation dialog within GsmContrAll itself will be skipped, but the text and number will still be visible in the phone's native app, just before sending. one good consequence is that, in most dual-sim phones today, sending sms through the native application allows for easy deciding from which sim to send. Even more, the decision can be made everytime, and in the last moment. hiding the sms content from the user, before sending. This is one of the strongest points in Google's transparency argument, and there is just no way around it in the current situation. You are welcome to try the free version first. This app DOES NOT read or touch incoming SMS in any way. It does not touch anything else in your device without your explicit request and knowledge. It can only send sms messages on your explicit request. It does not collect any statistics or analytics. It does not share any data with anyone. All settings within a tab can be saved to a simple text (xml) file on SD card. Saved file can be edited with a standard text editor, and later restored on the same or any other phone. With GsmContrAll you will not waste time on manually configuring the sms commands ever again.